We decided to not provide a demo for Coherence Meter because we don’t want to to cripple our product too much and limiting the capability of this plugin for a demo would mean to provide a bad testing experience. I've been using the plugin for a couple of days and I have to say I'm impressed! It can easily be used to set the initial levels balance for your track or to check the overall balance for your already mixed ones. 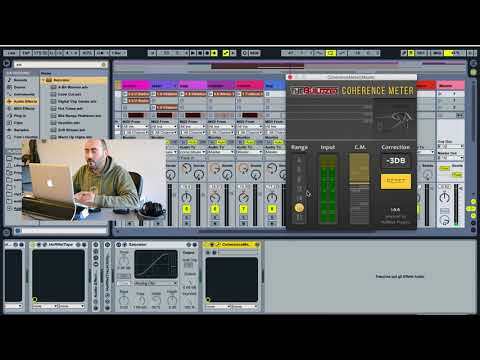 Here is how I did to set the initial level balance: select the busiest section of your track and start the level balance by bringing instruments up one at a time and paying attention to the Coherence meter. Make sure it always stays at 0 or around this value. It also makes wonders together with the LU Meter plugin which I've been using for initial gain staging. 5 Stars plugin! Thank you HoRNet! brilliant plugin, one of the most useful plugins i've used in a long time.